In this article we finish of with the final part of the listing we started in part one and part two of this trilogy called “The ABC of the Chinese AI scene”. Roadstar.ai is the newest shining star in autonomous driving in China. Founded by three experts with rich experience in self-driving technology, Roadstar.ai specializes in level 4 autonomous driving technologies using a multi-sensor fusion framework. Company CEO Tong Xiaoqiao is a PhD in autonomous driving at Virginia Tech and worked at Apple, Nvidia and Baidu, all focusing on self-driving technology. CTO Heng Liang is a Tsinghua graduate and an electrical engineering PhD from Stanford. He later worked at Google Map and Tesla Autopilot projects. Chief scientist Zhou Guang also graduated from Tsinghua, and worked at Baidu’s autonomous driving team in Silicon Valley. Such star power has attracted great investor support, leading the company to raise one of the largest amounts of VC funding a year after its founding. Roadstar.ai has set a clear path for commercialization. It plans to combine its multi-sensor approach, which includes Lidar, cameras, radar and GPS, with China’s affordable manufacturing to produce high value L4 solutions to OEM’s and suppliers. In May 2018, it released an autonomous driving solution equipped with all made-in-China laser radar. The solution is able to achieve several hours of non-intervention driving in China’s complicated roads. But more importantly, Roadstar.ai plans to lower such solution costs to less than 20% of the current level in two years. It will first commercialize this technology in a controlled environment, such as in industrial parks and campuses. Commercial vehicles, such as construction and logistics vehicles, will be its focus initially too. In the highly homogeneous Chinese AI market, Rokid wants to be different. For one thing, as most companies rush to sign new contracts and expand to new markets, Rokid appears comfortable with its own pace. Headquartered in Hangzhou, the maker of smart speakers and AR glasses is undisturbed by how fast things tend to move in China. For instance, it took the company four years to hold its first product launch event. Chinese technology companies commonly stage such event once a year. Rokid’s ideals seem out-of-place as well. When hundreds of Chinese smart speaker makers from Alibaba, Baidu, Xiaomi to independent AI start-ups all compete on value (i.e. price), Rokid insists on targeting high-end users with premium quality products. From its first pricey, bulky premium smart speaker to more user-friendly compact versions, the company’s products are priced in a category of its own. Founder Misa Zhu, a former Alibaba executive, hopes users will recognize Rokid products’ superior quality from better voice interactions to elegant design. Zhu hopes that Rokid can sell over 1 million smart speakers in 2019, and gradually grow that number. On the other hand, Rokid is seeking innovative ways to use its AR glasses in retail and other sectors, while finding ways to make its AR glasses cooler. It also released an AI voice chip in June 2018 that can be used to provide voice interactions on smart speakers and children’s story-reading machines. Eventually, Rokid wants to become a platform company offering consumer products and enterprise solutions, or even “Google+Apple”, in Zhu’s own words. 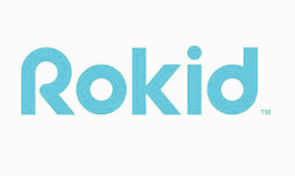 There is one thing that Rokid surely shares with its Chinese peers: ambition. Many of today’s Chinese AI companies are founded by entrepreneurs with previous experience building companies during the mobile Internet era. 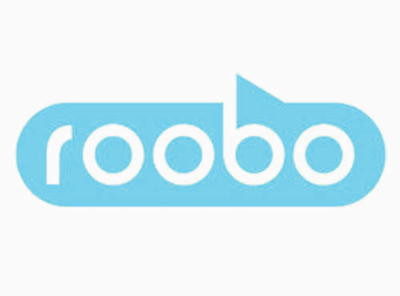 Roobo was founded by Liu Yingbo, who was co-founder of a restaurant recommendation app. Other members of the founding team hail from big Chinese tech companies 360 and Tencent, whose former chief technology officer Xiong Minghua joined Roobo as chairman in 2017 after making a big investment in the robotics start-up. Roobo initially released a series of children’s robots to serve as educational tools, and a robot dog pet. Similar to other robot companies, it expanded to enterprise services as the consumer robot market was still in its infancy. In 2017, the company announced that it would transition toward an AI platform company. It means instead of being a robot maker, it will provide AI technology solutions including microphone arrays, computer vision, voice interactions, behavior systems and cloud platforms, to other enterprises. Roobo hopes its technology can help companies from electronic appliance makers, healthcare and education companies to add “intelligence” to their existing products. The company has made progress on this new strategic direction. In the summer of 2018, the company launched an enterprise-facing children’s robot solution. Education robot companies can use the solution, including an SDK and mobile app, to develop their products. It also partnered with Microsoft to release a voice development kit for enterprise clients. What’s noteworthy is that Roobo released an AI chip as early as 2016, far before AI chips became the “must-haves” for Chinese AI companies in 2018. The company called its ASIC architecture chip the first commercial AI chip in China, though it’s unclear if the chip achieved significant usage or penetration. SenseTime was founded in 2014, but its founding team had an early start in AI. The team working at a research lab led by Prof. Tang Xiaoou at the Chinese University of Hong Kong began working on deep learning back in 2011. It was among the earliest and most productive research teams, contributing nearly half of the research papers presented during 2011 to 2013 at two top conferences on computer vision. 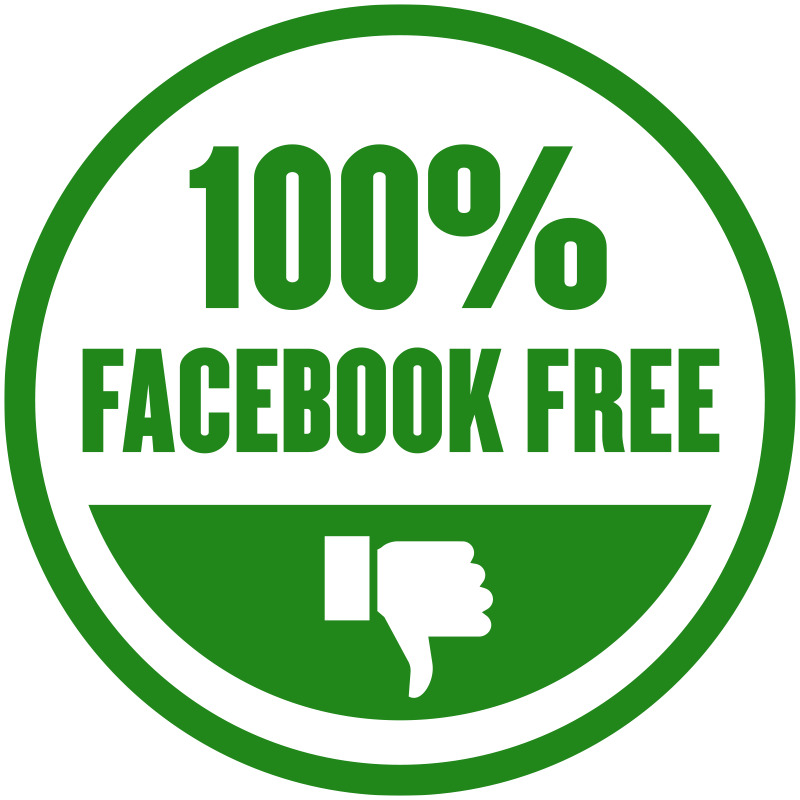 It also combated – and occasionally beat – Facebook and Google at global image recognition competitions. The experience of helping the Hong Kong police to identify car license plates of suspects on the run using its image recognition research confirmed the team’s desire to test its technology in real-life settings. The company, with four to five people initially, started business at the optimal time. Within about a year, it has secured dozens of clients, which quickly grew to hundreds in another twenty months. 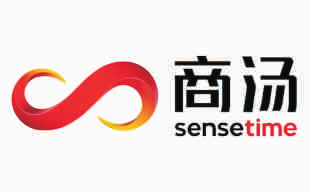 Since 2016, SenseTime quickly become the most high-profile AI company in China by continuously raising massive VC rounds and partnering with top brands including smartphone maker Xiaomi and Huawei. The company, led by CEO Xu Li, also partners with China Mobile to supply its facial recognition technology to the Chinese state-owned telecommunication giant’s identification system monitoring over 300 million users. Other top sectors SenseTime supplies its technology to include banks, police departments, city governments, airports and retailers. In the future, SenseTime plans to deepen its research to serve more industries, including autonomous driving and augmented reality. Ultimately, the company has its ambitions matching its current success: to become the “Google” or “Facebook” in the age of AI. In a sensational BBC program in 2017, the local police in Guiyang city took seven minutes to catch a “suspect” on the run played by a BBC correspondent. This system is powered by SensingTech’s dynamic facial recognition and real-time warning system, assisted by surveillance cameras installed on each street corner in the Southwest city. As a relatively new entrant to the lucrative public security market, SensingTech is able to quickly carve out a niche for itself. The company secured a top Chinese AI authority Zhang Bo, who is an academician from the Chinese Academy of Sciences and dean of Tsinghua’s AI research institute, as its chief scientist. Its three co-founders all are experienced researchers of AI technology. The products of SensingTech are thoughtfully designed. For example, a portable toolkit allows local authorities to better manage large flows of people during special occasions, including peak travel seasons, special festival gatherings and big conventions. Another app allows police to see the crime scene directly after suspects’ faces are recognized and an alarm has been triggered. 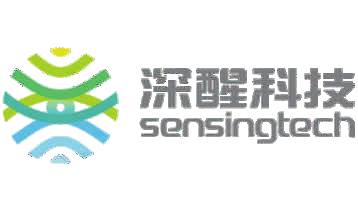 Next, SensingTech will continue to cultivate the public security market by improving its technology. One example is to develop limb and behavior recognition. If people cover their faces, SensingTech can still recognize the person by analyzing their body structure and how the person moves. It was no accident that Chen Shikai founded a robot start-up. While working for Intel as a programmer in Shanghai, Chen started an after-work interest group RoboPeak to research ways to let robots move around their environments. That team later became the foundation of Slamtec, a robot autonomous localization and navigation solutions provider. In other words, Slamtec gives robots “eyes and cerebellum” to see their environment and be able to move around a room, for example, without bumping into walls. The system is partially based on SLAM (simultaneous localization and mapping), the company’s namesake, but also incorporates computer vision, Lidar, core sensor and upgraded algorithms developed by the company. As robot vacuum and autonomous street cleaning robots become more mainstream in China, Slamtec’s products were met with increasing demand. The company’s three main products: a 360-degree laser range scanner; a modular system for autonomous localization and navigation; and a general purpose service robot cloud platform, has been used by thousands of robot companies in and outside of China. Part of Slamtec’s innovation lies in cutting down the costs of Lidar, so that its systems can be used by a wider range of robot builders. The company brought down the cost of Lidar to less than one- tenth of the costs for industrial usage, so that even personal robot building enthusiasts can afford it. Next, Slamtec is making a natural move toward autonomous driving, as the basic technologies are similar. But it will take a long time, as the company needs to significantly deepen its research and conduct road tests. China has a national mandate to develop the AI industry, and smart capital knows the best investment strategy is to follow the government. Terminus Technologies was incubated by China Everbright Holdings in 2015 to provide large scale smart IoT solutions to governments and enterprises. Its solutions power smart city planning, including traffic and energy usage, help buildings lower energy consumption, and ensure public security. The company’s smart hardware including smart doors, smart locks and central surveillance systems are claimed to have helped lower crime rates by over 90% at buildings with its systems installed. A centralized building management system lets building owners lower energy consumption by 30%. All of these functions are powered by a cloud-based system, smart hardware and mobile apps. Terminus’ solutions have been deployed in over 8,000 projects in 70 cities in China. The challenge now facing Terminus is how to scale its business and lower costs, and how to further improve efficiency by mining the data that’s being generated across its platforms. Founded in February 2017, ThinkForce is an upstart AI chip start-up that is still very much wrapped in mystery. This is perhaps a conscious decision, as the company’s founder and legal representative, Xu Ruhao, was previously a manager at Hanxin. Hanxin is a Chinese microchip developer that gained notoriety in the early 2000’s after it was found to have cheated tens of millions of U.S. dollars worth of state research funding. Hanxin claimed to have developed China’s first DSP chip on its own, but the chip was actually imported Western chips with the original logo sanded away and replaced with Hanxin’s logo. Certainly a cautionary tale as China strives to obtain chip self-sufficiency today, but there is no clarity regarding Xu’s involvement in that episode from over ten years ago. ThinkForce says its team is made of senior experts in the field of chip design, software algorithm and system development. One senior manager whose identity was made public previously worked at Tencent and graduated from MIT. Top investors seem to feel confident, putting RMB450 million (US$66 million) into ThinkForce ten months after its establishment. In terms of product, ThinkForce plans to develop AI-oriented chips for various applications such as computer vision. Its chips will be compatible with a variety of mainstream deep learning frameworks. ThinkForce’s software toolkit facilitates deep learning training and is suitable for both the cloud and edge computing. Tongdun Technology was started with a mission to provide anti-fraud technology to banks, but it took quite a detour to get there. Founded by Jiang Tao, a former developer at Alibaba and a Fudan University graduate, Tongdun realized it faced a number of challenges convincing banks to trust a small start-up. Banks also had a natural mistrust of cloud-based software, and their cycle of implementation took too long. Jiang was lucky to convince an Asian VP at ThreatMetrix, a U.S. identification authentication services firm, to join him. The company quickly shifted its focus to provide blacklists, and rapidly expanded its blacklists by asking companies to share their own lists. As Chinese P2P industry boomed around 2014, the company found its services suddenly in great demand. P2P lending platforms, micro-finance firms, e-commerce firms, social media apps and dating sites all turned to Tongdun, which then combined this enriched data to build more comprehensive risk profiles. As of early 2018, Tongdun’s various APIs including anti-fraud, credit scores and risk management solutions were used over 100 million times daily. As one of the largest third-party anti-fraud services providers, the company now serves banks, insurance and asset management firms, in addition to its more “traditional” clients. Next, the company has its eyes set on Southeast Asia, where Chinese Internet finance firms have been active and the local online banking market is expected to grow significantly. The founding team of Turing Robot tried many things before finally settling on its current business. Led by Yu Zhichen, a graduate of Beijing Jiaotong University with a degree in applied mathematics, the team first tried to develop a mobile app in 2010 to let users find travel routes, order tickets, listen to music and read news. Two years later, it released a voice assistant mobile app with the belief that voice interactions will render traditional search tools like Baidu irrelevant. But that proved to be too optimistic. The team decided to still focus on voice assistant technology, with a special emphasis on servicing children’s robots. Based on semantic understanding, dialogue system and multi-modal interactions, Turing Robots provides voice interaction systems to online chatbots and hardware robots. Its child dialogue system factors in children’s unique voice pattern and speaking habits. Turing Robot also partners with children’s content aggregators and IP holders to produce cartoon character-based robots. Its software also screens content on its voice platform to make sure all dialogues are appropriate for children. As of today, Turing Robot claims to have provided solutions to over 10 million robots, and is expanding its product pipeline. Beside robots, it is enabling other devices including watches, toys and teaching aids to make interactive and fun companions for children. TuSimple’s founder Chen Mo, who grew up in Canada, started three companies in China during a ten-year span. From outdoor media, used car online trading and online gaming, none brought great success. 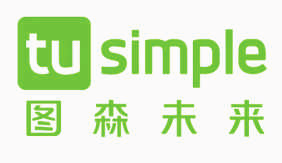 In 2015, Chen founded TuSimple’s predecessor backed by Sina Corp to provide image recognition technology to Internet companies. A year later, Chen decided to change the company’s name to its current form, and to reposition the company as an autonomous driving truck producer. He believes the trucking sector will create the greatest value and the technology is the most mature for commercial application. TuSimple has developed a computer vision-based multi-sensor fusion approach toward realizing L4 level autonomous driving trucks. As one of the earliest players in the sector in China, TuSimple is also taking a different approach toward commercialization. Instead of supplying its technology to OEM’s or tier 1 suppliers, like some of its competitors, TuSimple focuses on providing low cost autonomous driving trucks directly to logistic companies and ports. It is currently testing a fleet of autonomous driving trucks at a port in China, with the hope of deploying the trucking fleet for commercial use soon. The company is also conducting road tests in China and the U.S., with the aim of realizing usage as quickly as in 2019. Once it completes the trial in the Chinese port, TuSimple will partner with more ports to make its unmanned truck fleet available for wider use. Founded by a team from Alibaba Cloud, it is natural that Tuya Smart’s mission is to let enterprises produce “smart” products as easily as opening an online store on Taobao. Specifically, Tuya Smart focuses on adding AI to Internet-of-Things (IoT) devices, such as lighting devices and home appliances. Enterprises from manufacturers, OEM’s, retailers and consumer brands can simply plug into Tuya Smart’s solutions to add “intelligence” including voice interaction, intelligent management and prediction capabilities to their products. Tuya Smart’s solutions come in the form of a cloud platform, smart modules, apps and its own IoT operating system. What sets Tuya Smart apart is its ability to quickly scale. Only four years after being founded, it has helped over 10,000 companies in over 100 countries. Its solutions enabled over 11,000 smart products. Based on the large scale of deployed smart IoT devices, Tuya Smart’s platform is handling daily hardware requests of 20 billion times and 6 million voice interactions. Next, the company will focus on Smart Home, Smart Business and Smart City projects. It will continue to research and improve on core technology such as voice recognition and tailored solutions. Founded by a self-made robot builder long before AI became “hot”, Ubtech Robotics’ early days were a personal struggle for founder James Zhou. He sold his properties and borrowed money from friends to produce a family humanoid robot Alpha 1S, which can make better movements compared to other products on the market at the time. That was followed by similar consumer-facing robot, Alpha 1 Pro and Alpha 2. Under a partnership with Apple, Ubtech sells its Jimu Robot, a do-it-yourself STEM-friendly robot for children, at many Apple stores. Starting in 2017, Ubtech expanded its product line to enterprise-facing robots. It released a cloud-based customer service robot, Cruzr, to be used in public places, local government offices, and schools. Over two thousand Cruzr units will be deployed to retail stores across China at Ubtech’s strategic investor, Beijing Easyhome Furnishing Chain Store Group this year. The company is soon planning to release a robot security patrol car that can be used to detect intruders. 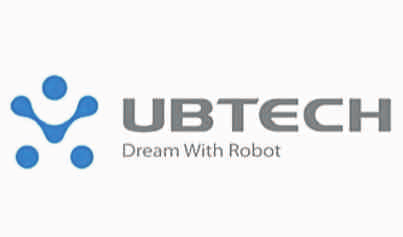 Ubtech will now focus its research on large-scale humanoid robots, as most of its robots are currently small to medium sized. It will continue researching humanoid robot drive servo, gait motion control algorithm and computer vision. Another direction is serving as a point of control for smart home devices, perhaps as an alternative to smart speakers. Ultimately, founder Zhou’s dream is to produce robots for every family to have a new robot-friend. The company decided to carve its own niche in the Internet-of-Things sector, helping home appliance makers to add voice interactions to their products. It initially partnered with domestic TV makers and air conditioner producers to allow users give voice command to control these devices. Unisound slowly expanded to the more crowded sectors including healthcare, helping doctors input medical records using voice commands instead of typing on computers, and automobiles, where Unisound enables voice interactions inside the car via devices like rear-view mirrors. Other sectors the company eyes include voice capabilities for kid-friendly robots, smart speakers, educational devices and legal services. As a handful of government-backed and strategic investors put capital into Unisound in July 2018, the company is humming on all cylinders. Two months earlier, it released an AI chip customized for voice applications in the IoT sector, with plans to launch more special use chips in the future. 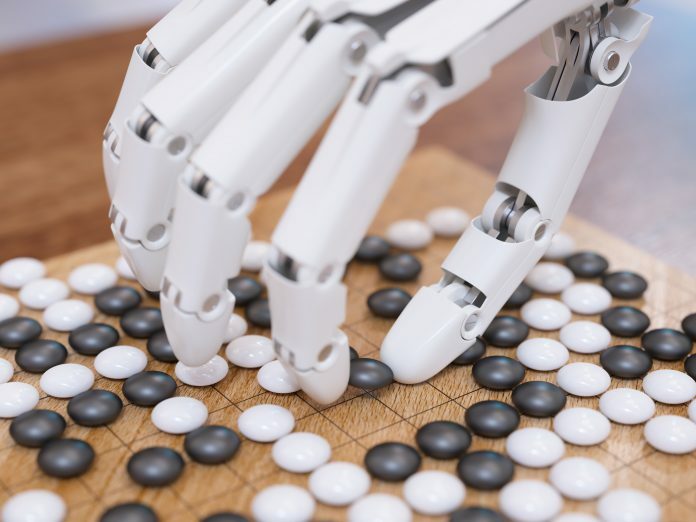 It is strengthening its super computing platform as it helps to set up and operate AI super computing centers for the Xiamen city government and a unit of Ping An Group. It is leveraging its strong connections to obtain more government businesses in the smart transportation and smart city arena. Xiaoi Robot, as the oldest company among China AI Top 50, has a storied past. Founded in 2001 by Yuan Hui, formerly a manager at Microsoft, and a Chinese Academy of Science PhD student Zhu Pinpin, Xiaoi Robot initially made consumer software helping users to synchronize email on their phone and made a fun personal chatbot. After those failed to achieve commercial success, Xiaoi turned to serving enterprise clients with its core product: a customer service robot. That strategic shift took eight years. But it was no time wasted, as Xiaoi became one of the earliest companies in the chatbot industry. It quickly gained momentum, winning clients from government entities to state-owned enterprises. Xiaoi’s chatbot systems, supported by industry specific knowledge map, help enterprises significantly lower its labor force in their customer service department. 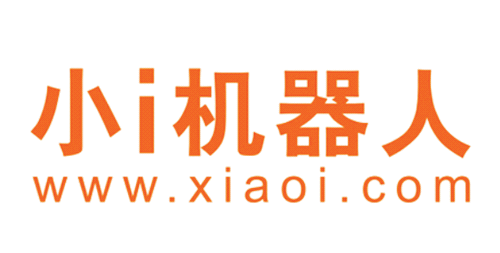 In 2015, Xiaoi listed on China’s New Third Board, but was delisted in March 2018. It plans to seek a listing elsewhere – potentially in Hong Kong – in the next one to two years. The company has turned a profit in 2017, and is expected to reach revenues of RMB500 million (US$73 million) and profit of RMB100 million (US$15 million) in 2018. That is a significant improvement compared to the preceding four years when it suffered losses. If Xiaoi can complete an IPO soon, it may become the first Chinese AI company to achieve such a feat. That would be fitting for Xiaoi, a true veteran in China’s AI industry. Yitu Technology got its start assisting local police to read fuzzy surveillance video footage to better identify objects like cars and people. As among the earliest computer vision companies trying to find commercial applications in public security surveillance, Yitu’s success is no accident. Founder Zhu Long, or Leo Zhu, is a statistics PhD graduate from UCLA and conducted postdoctoral research at MIT Artificial Intelligence Lab. Back in 2012 after Yitu was founded, Zhu and his team secured the company’s first project by demonstrating satisfying results in correctly identifying vehicles using fake license plates. The company solidified its strength by expanding its work to identifying suspects and lost children, while scaling its operations. 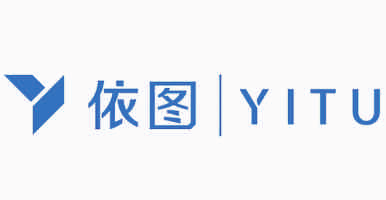 In January 2018, Yitu’s systems were deployed in over 20 provincial public security bureaus and over 300 cities. Naturally, Yitu is monetizing its technology elsewhere, such as enabling banks to utilize facial recognition. It is expanding in medical image, smart retail and smart city projects, which digitize city data including traffic, energy supply information and infrastructure development to better manage traffic and optimize energy consumption. The company is also exploring in man-machine interactions, and has invested in a Chinese AI chip start-up called ThinkForce. Next, internationalization is top on Yitu’s priority list, as domestic competition becomes exponentially more competitive. In January 2018, the company opened its first overseas office in Singapore, with its eyes set for new business opportunities across Southeast Asia. In addition, Yitu continues to deepen research and development of new products and technology. Hope you enjoyed this series on AI in China and stay tuned for more!